Q I have been on YAZ for about 6 months since stopping Ortho Tri-Cyclen Lo. I usually start my period around the day or day after I start a new pack of pills. My periods last for a day or two. This month I am 12 days late so far. I am assuming I won’t be getting a period. I really doubt that I am pregnant, since we use condoms and I always take my pills. I sometimes fluctuate within about 3 hours a day in taking them. Is it common to miss periods on this pill and when I do have periods, should I be starting my period on the new pack of active pills? You are doing such a great job with your contraception. Situations like yours point out one of the best reasons why the simultaneous use of pills and condoms is a good idea. Your use of condoms really minimizes the concern associated with missing your period which definitely can happen to a woman using any of the birth control pills.Stay right on schedule with your next 7 day hormone-free interval and you have nothing at all to worry about taking pills 3 to 6 hours off the regular 24 hour interval. Very, very light periods or no bleeding at all may occur, particularly on very low-dose pills. How did you hear about this website and how often do you go to it? Please tell friends and your clinician (physician or nurse practitioner). 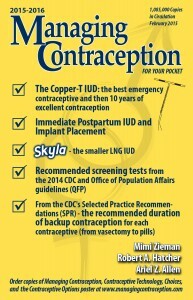 To learn more about the advantages and disadvantages of birth control pills and condoms, go to: www.managingcontraception.com. You can order all of these books listed below from our website or by calling 404-875-5001.